Our view: Ski in/ski out onto a green slope in Plagne Centre, close to bars/shops with a good range of room types. Amazing views from the restaurant so a recommended choice for those wanting an easy holiday! 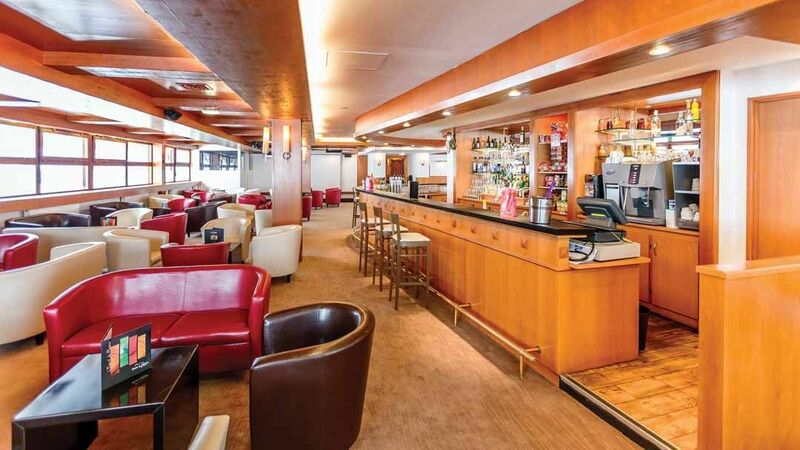 The Terra Nova enjoys a superb location in Plagne Centre at the foot of the pistes so you can ski back to the door and in the morning the chairlift is on your doorstep. You can be assured of a high quality, friendly service in a fantastic location. 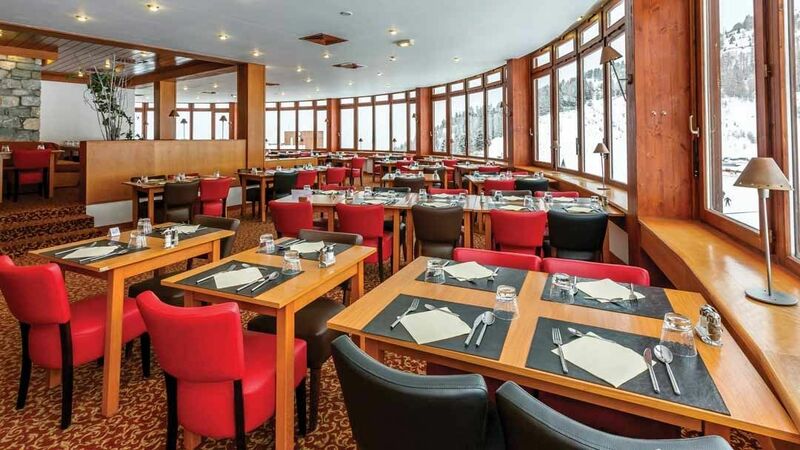 All meals are served in the hotel's panoramic restaurant with fantastic views of the slopes. London St Pancras Int flight included. All rooms have a telephone, hairdryer and satellite TV. Twin Room - sleeps 1-2: Twin beds, private bath (with shower attachment) and WC. Double Room - sleeps 1-2: Double bed, private bath (with shower attachment) and WC. Triple room - sleeps 1-3: Three single beds, private bath (with shower attachment) and WC. Quad room - sleeps 1-4: Double bed, two single folding beds, private bath (with shower attachment) and WC. Double Adaptive Room - sleeps 1-2: Double bed, adaptive private bath (with shower attachment) and WC. Twin Adaptive Room - sleeps 1-2: Twin beds, adaptive private bath (with shower attachment) and WC. Sole occupancy rooms are available at a supplement on request. Wheelchair accessible twin and double rooms are available on request. NB: No admittance to the sauna and fitness room for children under 15 years. The dress code for evening meals is smart/casual. Check-in is at 6.00pm on the day of arrival - provisions will be made for guests' luggage before this time. A deposit payable by card needs to be provided at check-in. 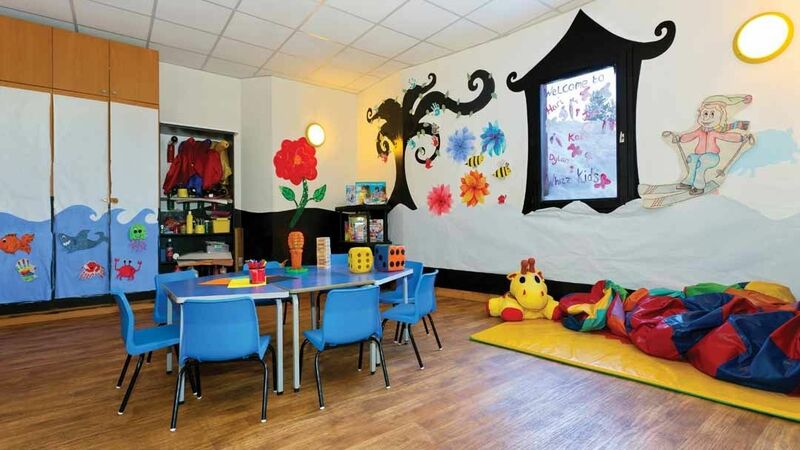 Club Renardeaux is for little ones from 3-5 years and is open all season, Sunday to Friday, from 8.30am to 5.30pm. Lunch is not included, and will be payable locally. Les Pirates is for 6-10 years and is only open during French school holidays, Sunday to Friday, from 8.30am-5.30pm. 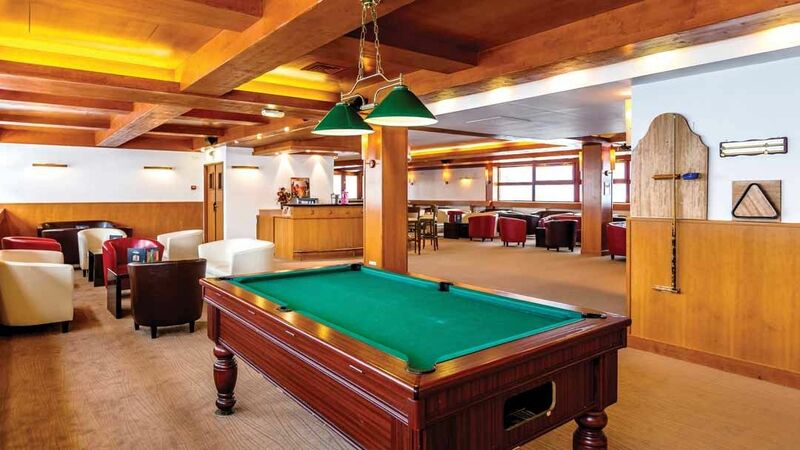 Both clubs have English-speaking staff and are based within the hotel. In 2003, the double-decker cable car between La Plagne and Les Arcs opened and in a single moment created the Paradiski. With 420km of lift linked pistes, high altitude skiing, 2 glaciers and a modern lift system, this is now one of the powerhouse resorts of the French Alps. Beginners and early intermediates will thrive on the runs in and around the 10 villages of La Plagne. Gentle, mostly tree-lined and snow-sure, you could hardly think of a better destination for family skiing. Stronger skiers are catered for too though, with 220km of pistes in La Plagne and the prospect of another 200km over in Les Arcs. Yes, there are other resorts that offer a bit more if everyone in your party is an advanced skier, but you will not find a better ski destination for a mixed abilty group or family! Plagne Centre: As the name suggests, this is the focal point of La Plagne. The main hub of lifts is here and most runs will point towards Plagne Centre. A good choice of bars and restuarants, plus a couple of nightclubs. 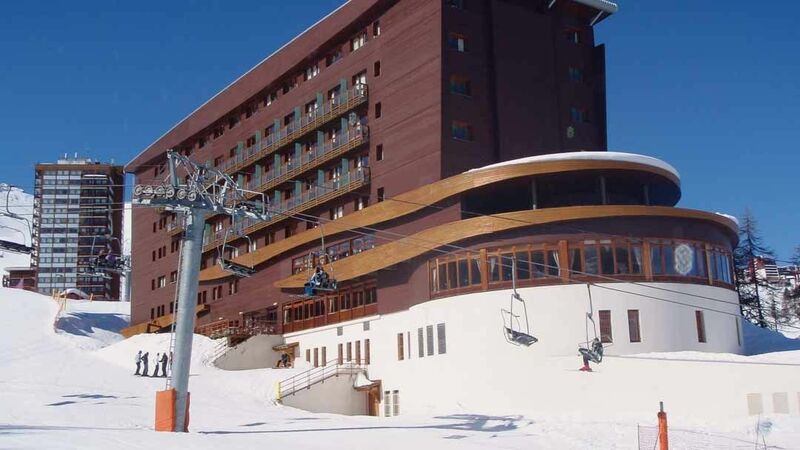 Aime 2000: Not to be confused with Aime, the valley town, Aime 2000 is perched above Plagne Centre, if you're staying here with us then you're almost certainly in one of the Club Med hotels, so everything you need will be on site and free! Direct piste access and the Télémetro cable car runs to Plagne Centre until the early hours so a night out is also possible. Plagne Soleil: Just above Plagne Centre on the opposite side to Aime. Plagne Soleil is small without many distinguishing features but close enough to Plagne Centre to enjoy an evening or two away from your chalet. Plagne Villages: Another smaller collection of chalets and apartments, with brilliant piste access and just close enough to Plagne Centre for evening entertainment if needed. Plagne 1800: Nestled in the woods below Plagne Centre, Plagne 1800 offers a lot of catered chalets and has everything you need without having to go all the way to Plagne Centre. A choice of lifts in the morning depending on which direction you want to go. Belle Plagne: The most modern village in La Plagne, Belle Plagne is also the next largest after Plagne Centre. 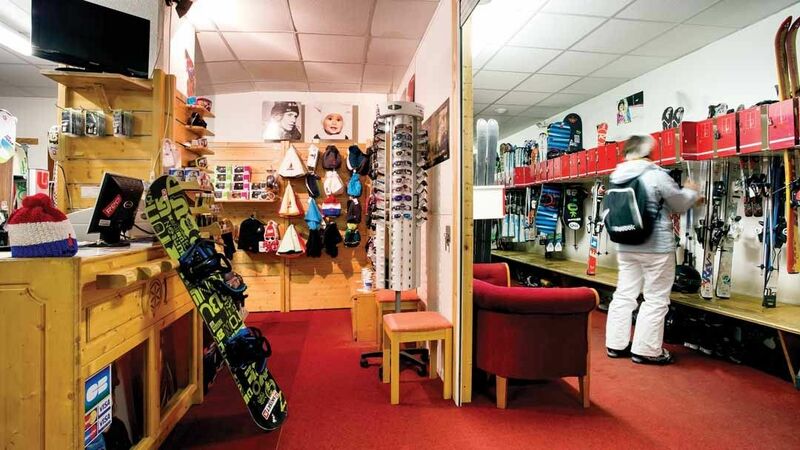 Attractively laid out and, like the rest of La Plagne, ski convenience is king. 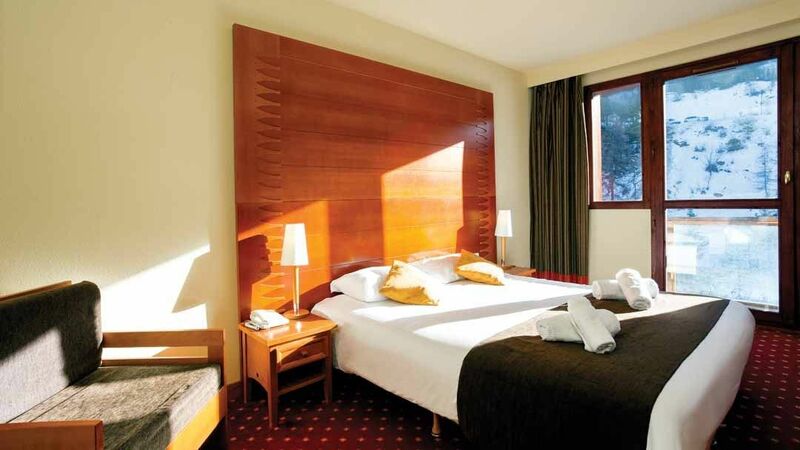 A good choice of catered and self-catered accommodation which is almost all on the piste. Plagne Bellecote: A small village essentially consisting of one large apartment building and some communal facilities. There is a large outdoor heated swimming pool here. Montchavin & Les Coches: 2 villages that were forgotten outposts of La Plagne until the Vanoise Express came along. Now they're in prime position, you can easily access either side of the Paradiski in moments and, unlike Plagne Centre or Arcs 200, you could quite easily nip over for just an hour or two without the long transition.